“The value of a man was reduced to his immediate identity and nearest possibility. To a vote. To a number. To a thing. Never was a man treated as a mind. As a glorious thing made up of stardust. In very field, in studies, in streets, in politics, and in dying and living,” wrote Rohith in his suicide note. Rohith Vemula’s suicide on January 17, 2016 sparked protests across the country and highlighted discrimination against Dalits. Bahujan Samaj Party leader Mayawati has described Rohith’s suicide as institutional murder. We are replugging our story that appeared in February 1-15, 2016 issue. All this happened in a university which received the ‘Visitor’s Award’ for the best university last year; a university where Rohith, the sole breadwinner of his family, did not receive '25,000 for his junior research fellowship (JRF) for seven months. Originally from Guntur, Andhra Pradesh, Rohith was brilliant in studies and got admission in the general category. An active member of the Ambedkar Students’ Association (ASA), he was living in a tent outside the university campus after being banned from the hostel, cafeteria and other select areas as social boycott. He and four other dalit students had been suspended for allegedly beating a member of the Akhil Bharatiya Vidyarthi Parishad (ABVP) in August 2015. The ASA, however, alleged that action against the five students was taken on a false complaint filed by the right-wing student organisation and under pressure from the union HRD ministry. Here is the story in short – In August last year, ASA organised a protest march against ABVP’s act of disrupting the screening of a documentary film, Muzaffarnagar Baaqi Hai, in Delhi University (members of ABVP had complained that the documentary, which was on the Muzaffarnagar riots, would hurt Hindu sentiments). Reacting to the protest, an ABVP leader described the ASA activists as ‘goons’ on his Facebook page. ASA reacted strongly to this and demanded an apology. The ABVP leader finally gave in. But later, he claimed he was beaten up by ASA activists. A proctorial enquiry found that medical reports as well as statements of the security staff did not present any evidence to support the ABVP leader’s claim. ASA alleged that the proctorial board, under pressure from BJP leaders, recommended suspension of five dalit students including Rohith Vemula. I loved science, stars, nature, but then I loved people without knowing that people have long since divorced from nature. Our feelings are second handed. Our love is constructed. Our beliefs coloured. Our originality valid through artificial art. It has become truly difficult to love without getting hurt. The value of a man was reduced to his immediate identity and nearest possibility. To a vote. To a number. To a thing. Never was a man treated as a mind. As a glorious thing made up of stardust. In very field, in studies, in streets, in politics, and in dying and living. May be I was wrong, all the while, in understanding world. In understanding love, pain, life, death. There was no urgency. But I always was rushing. Desperate to start a life. All the while, some people, for them, life itself is curse. My birth is my fatal accident. I can never recover from my childhood loneliness. The unappreciated child from my past. I am not hurt at this moment. I am not sad. I am just empty. Unconcerned about myself. That’s pathetic. And that’s why I am doing this. People may dub me as a coward. And selfish, or stupid once I am gone. I am not bothered about what I am called. I don’t believe in after-death stories, ghosts, or spirits. If there is anything at all I believe, I believe that I can travel to the stars. And know about the other worlds. If you, who is reading this letter can do anything for me, I have to get seven months of my fellowship, one lakh and seventy five thousand rupees. Please see to it that my family is paid that. I have to give some 40 thousand to Ramji. He never asked them back. But please pay that to him from that. For one last time, Jai Bheem. Later, the acting vice chancellor revoked the suspension following protests and dialogue with students, and ordered a fresh enquiry. Meanwhile, union minister for labour and employment Bandaru Dattatreya wrote a letter to the HRD ministry claiming that UoH had become a den of “casteist, extremist and anti-national politics”. Between September and November last year, the labour and employment ministry sent four letters and an email to the university, seeking “comments/facts” on the matter raised by Dattatreya. It was also claimed that ASA, in July last year, had protested against Yakub Memon’s execution. But ASA leaders had clarified that the protest was not in support of Yakub Memon but against capital punishment as such. A new vice chancellor was appointed soon after. But without conducting a fresh enquiry, a decision was taken to suspend the five dalit students, barring them from accessing the library, hostels, common places, administrative building, and from contesting students’ union elections. All five started sleeping in the open to protest against the university’s decision. Several students also left their rooms and joined them in solidarity. 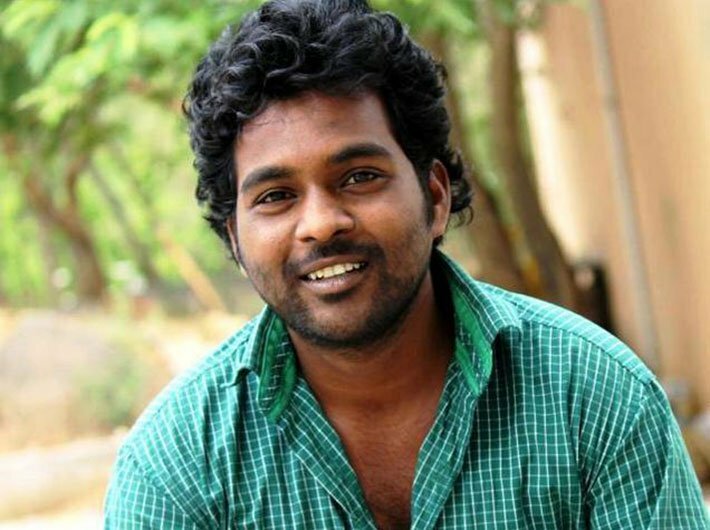 Rohith’s suicide has sparked an unprecedented nationwide protest. Several left and dalit organisations have staged protest against this “institutionalized killing”. It has generated heated debate over growing isolation and frustration among dalit students in centres of higher studies. It is claimed by several intellectuals that the ‘idea of India’ which is based on equality, liberty and fraternity is not yet welcomed by many key position holders in premier institutions. The Congress and other rivals of BJP took no time in turning the incident into a political issue in an attempt to score brownie points. In damage control, the suspension of the other four students was revoked and union HRD minister Smriti Irani tried to clarify matters. According to her, it was not a “dalit versus non-dalit issue”, and there was a “malicious attempt to project it as a caste battle”. She supported her argument by pointing towards the caste of Dattatreya, who belongs to OBC. But the UoH SC/ST Teachers and Officers Forum rubbished Irani’s claim. “It [the enquiry panel] was headed by an upper caste professor… and there is no dalit faculty in this sub-committee. Incidentally, the dean of student welfare who happens to be a dalit was notionally co-opted an ex-officio member of the committee. It is unfortunate that since its inception, no dalit representation has been given in this council,” the forum stated. Irani, however, is right to an extent as Rohith was not confined to identity politics. His fight with ABVP had a strong ideological ground. His Facebook page is full of his dreams and ideas. He wanted a “radical Ambedkar” to change the society and invoked dalits to fight tooth and nail against the RSS’s concept of a Hindu Rashtra, which goes counter to Dr Ambedkar’s vision of democracy. Capital punishment, intolerance, appointment of FTII president, the Dadri killing and removal of AFPSA were some of the major issues over which the two student organisations fought. It, however, was not the first time when dalit students engaged in a direct conflict with the BJP. Last year when Ambedkar-Periyar Study Circle, a student association, was derecognised in IIT Madras, Irani and her ministry were widely criticised. Noted academician and dalit rights activist Kancha Ilaiah explained this new phenomenon in an article published in the Hindustan Times. He wrote, “Unfortunately, however, ever since the BJP came to power, political interference in learning institutions has seen an exponential increase. Earlier, universities were the privilege of the upper castes, but the reservation system has changed all that for the better.